Kangertech Subtank Mini OCC Coils come with 20 pcs 0.5ohm heating coils and 2 pcs organic cottons. The Organic Cotton Coil offers huge vapor and bring healthy and environmental vaping. • Please do not dry burn the cotton directly, otherwise it might get on fire. Drip a little e-juice in the absorbent cotton to make that moist before filling in the e-juice. • Only recommended for experienced users. 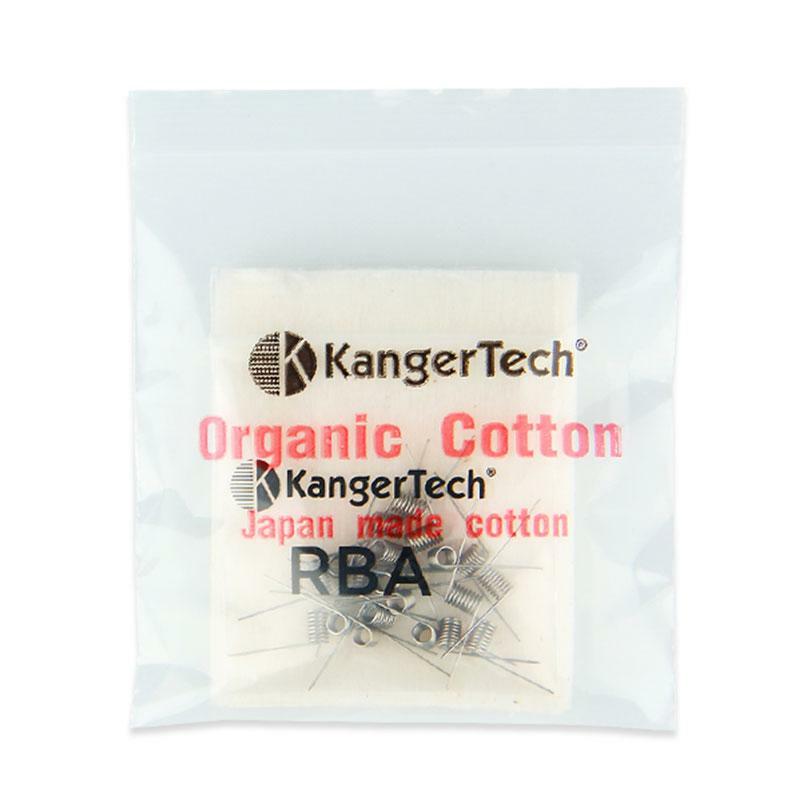 • It suits for Kangertech Mini RBA Head. Kangertech Subtank Mini RBA Coil works under high voltage and wattage. It has a resistance of 1.5ohm. it has a mini subtank With 20 pieces per pack.